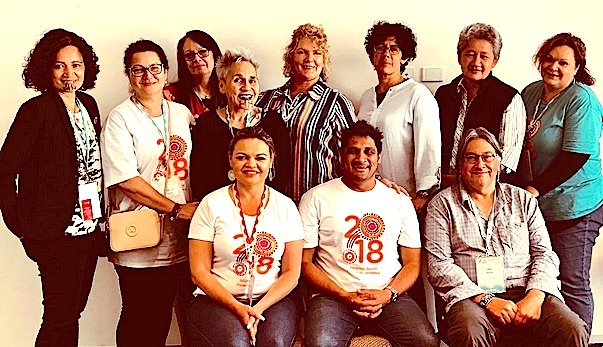 Photograph courtesy Australian Indigenous Psychologists Association tweet: A rare gathering of Indigenous psychologists from around the world, met during #WISPC18 and discussed the potential for a "First Peoples of the World Psychology Network"
First Nations peoples from across the globe were represented at the recent World Indigenous Suicide Prevention Conference in Perth. 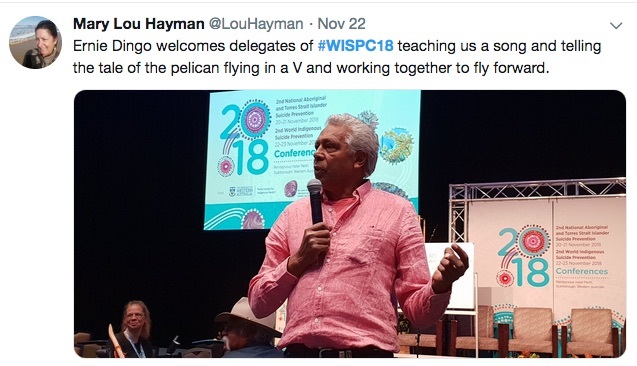 They included delegations of Māori researchers and practitioners from Aotearoa New Zealand, which hosted the inaugural world conference in 2016, and from the First Nations, Inuit and Métis peoples from Canada, whose government provided strong support to their participation, and from the United States. 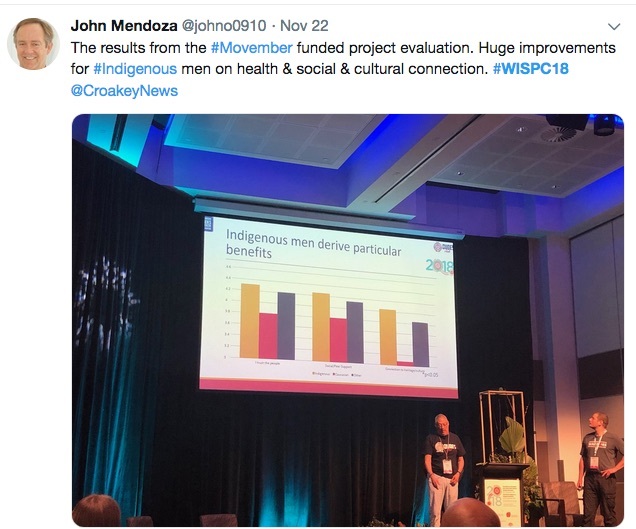 This post features video interviews with a number of the presenters and keynote speakers, as well as a Twitter wrap, and social media analytics for the event. 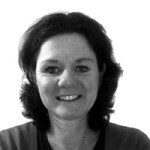 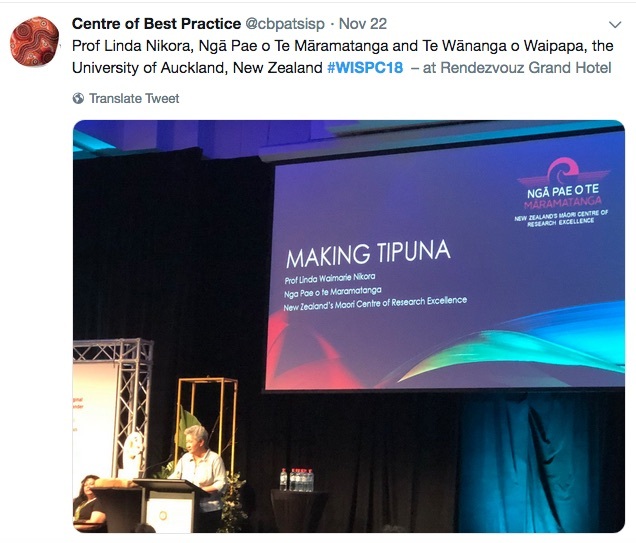 Professor Linda Waimarie Nikora is Professor of Indigenous Studies at Te Wānanga o Waipapa, the University of Auckland, and co-director of Ngā Pae ote Māramatanga New Zealand’s Māori Centre of Research Excellence, which has a network of about 200 Maori researchers from across New Zealand. 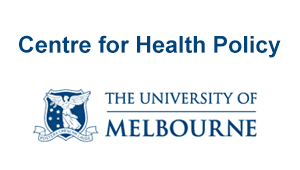 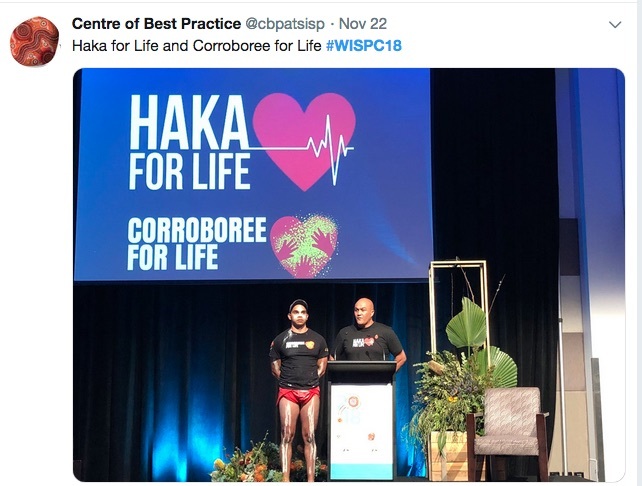 Live well – particularly through a stream that looks at Mauri Ora (human flourishing), and the challenges that many Maori and other Indigenous people experience, with housing, health, nutrition, food security, access to water etc. 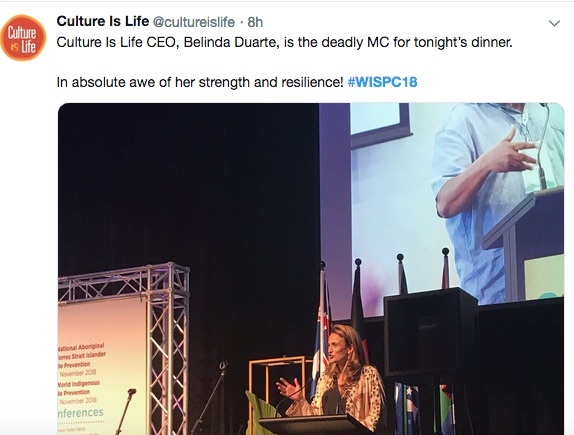 Live lightly – with a focus on Maori economics: “Rather than simply making profit for profit’s sake off our lands and other resources, (it’s about) thinking carefully about the way we impact our ecologies, impact the planet and also thinking about the state we are going to leave the planet in for the next generation to come,” she said. 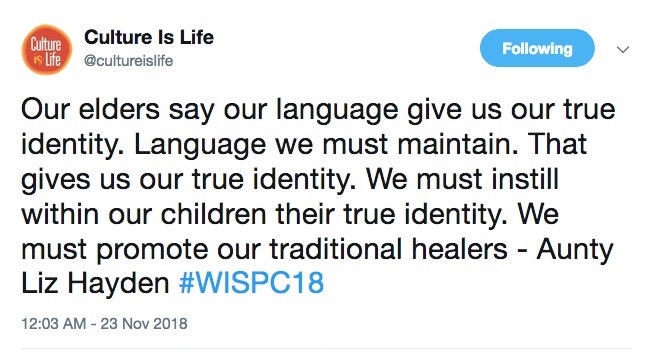 This includes a big focus on climate change. 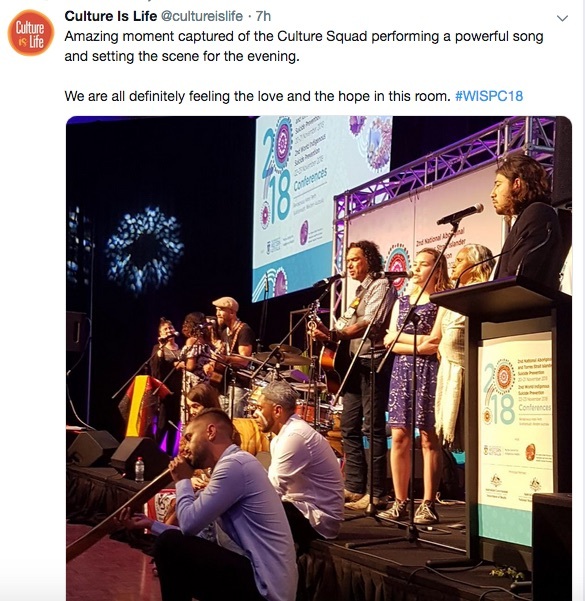 Live uniquely, as Indigenous peoples – looking at the importance of language, culture, the role of culture in Maori people’s lives, and the stressors on each of those “in terms of culture change”. 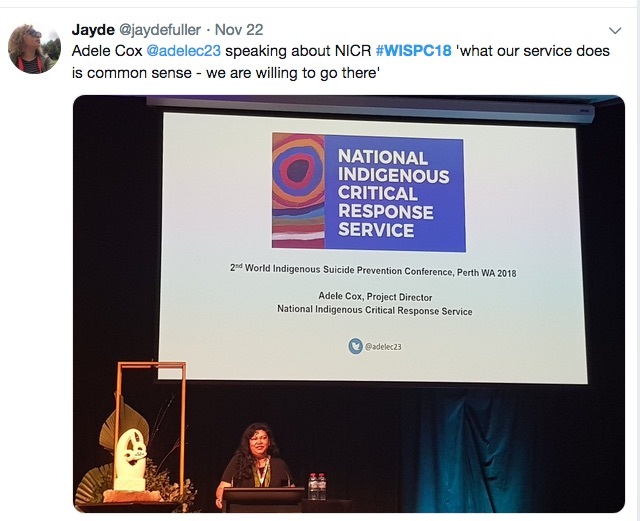 Nikora’s research is also focused on Tangi: Māori ways of mourning and she talks in the interview about death rituals handed down over generations – which are “more about life than death” – which can assist people to deal with death, including after suicide. 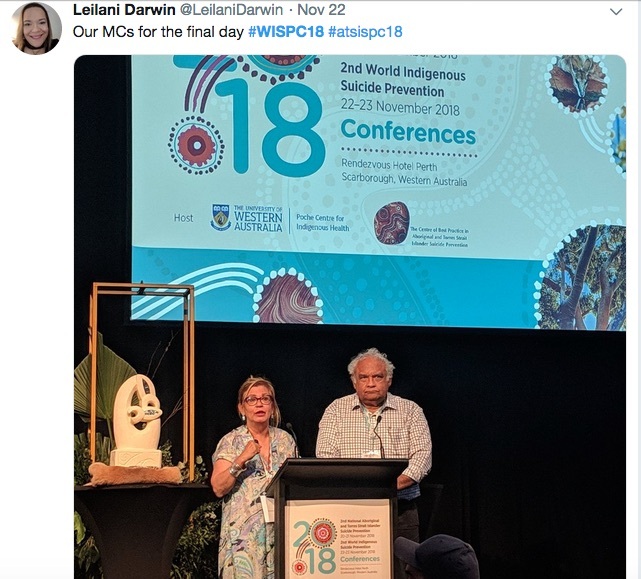 She said Western ways of dealing with death – “(where you’re told) ‘you’ve got to let go, detach, get over it, and you’ve got three days to do it in'” is not a very healthy way of carrying out a healing process, and she urged delegates to have faith in their cultural institutions, rituals and customs. 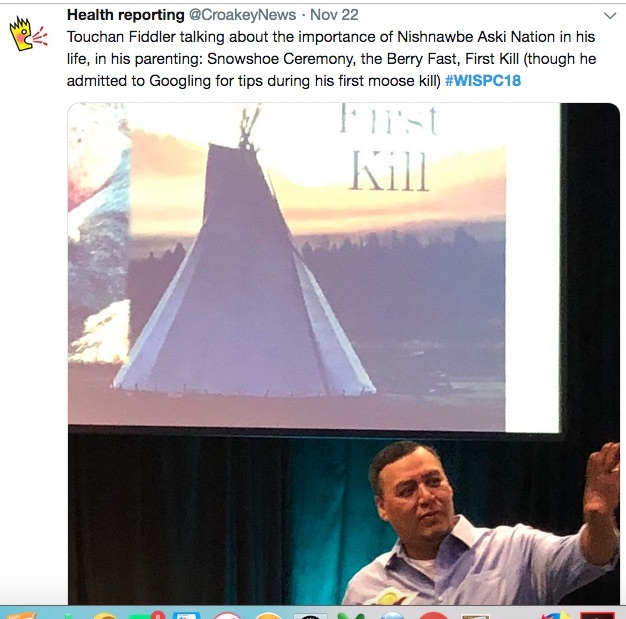 Corey O’Soup is the first Indigenous person to hold the position of Advocate for Children and Youth in the Canadian province of Saskatchewan – born and raised in the province, he a member of the Key First Nation. 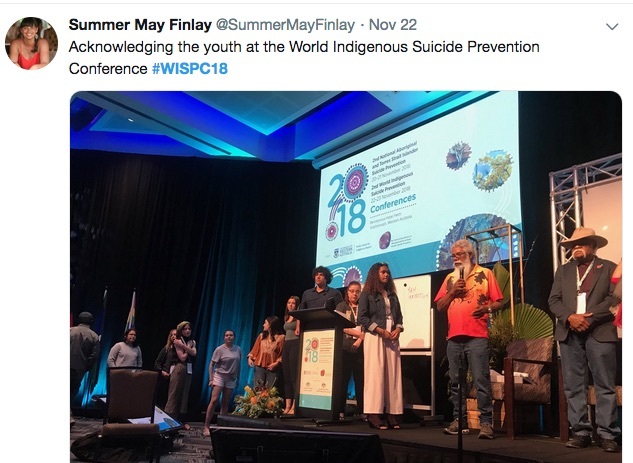 O’Soup said suicide rates among Indigenous children and youth in Saskatchewan children and youth were already “staggering”, but the month before he started in the role in late 2016 saw a cluster of suicides of six young girls, which galvanised calls for action from both sides of politics. 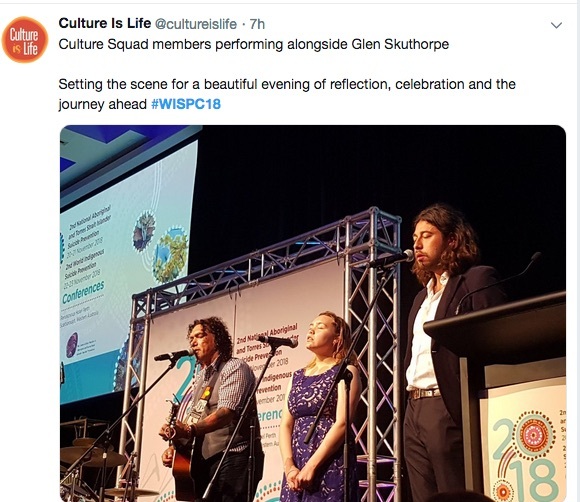 Asked to report on the issue, O’Soup’s team spent a year in northern Saskatchwan, meeting with young Indigenous people about their perceptions, realties and lived experiences related to youth suicide. 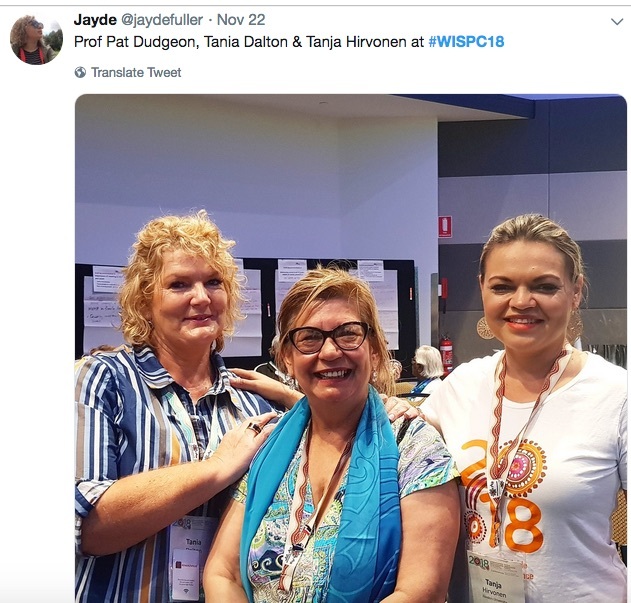 It resulted in a report that not only looks different to the usual tomes on such topics, but which O’Soup said took a very different approach. 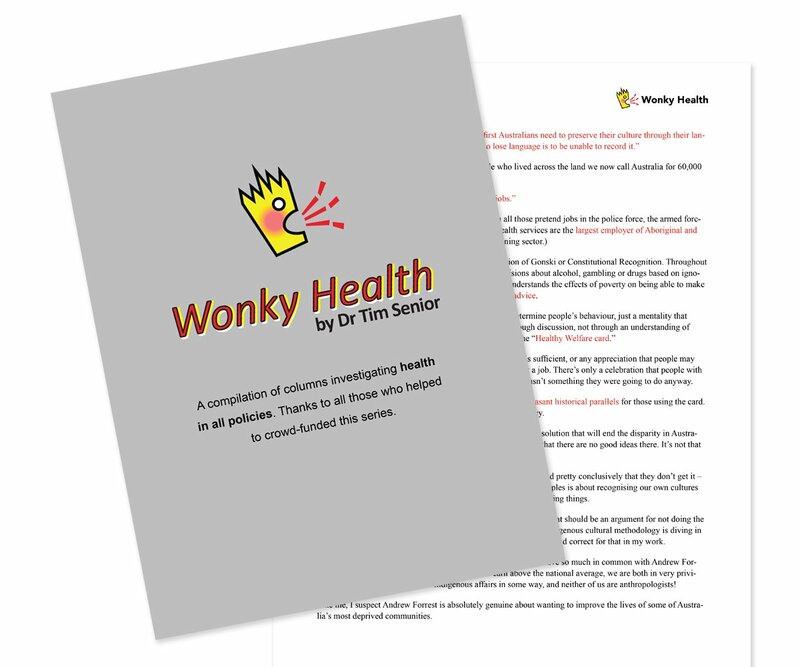 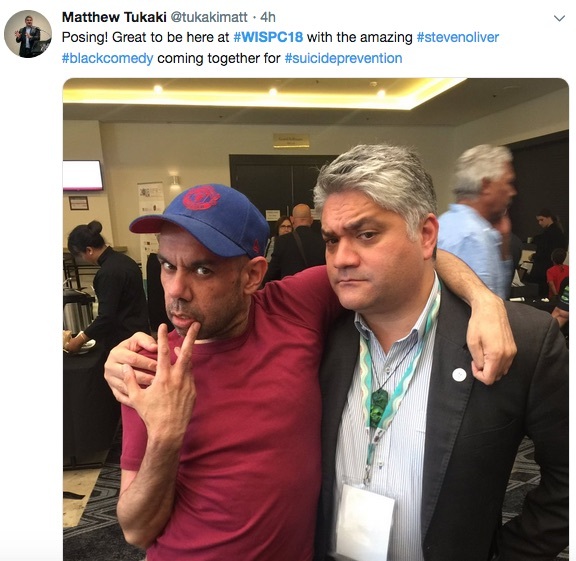 Its title – Shhh….Listen, We have something to say! 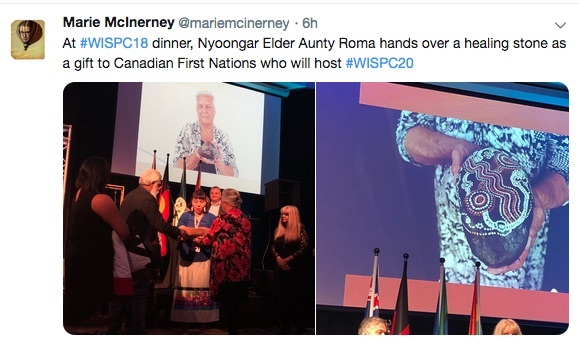 Youth Voices from the North – is part of that, as is its size (“about the size of a vinyl record” – in tribute to Canadian musician Gord Downie and his The Secret Path album which tells the story of a young First Nations boy who died in 1966 trying to escape from an Indian Residential School). 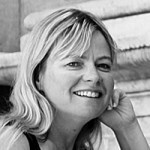 We create programs for kids bullying kids…what we haven’t done is created programs for adults who are bullying kids. 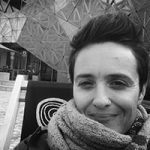 As a parent and a professional, and as the Advocate, I had to take a step back. 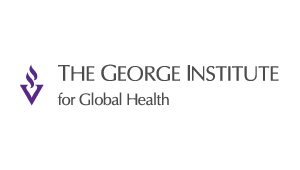 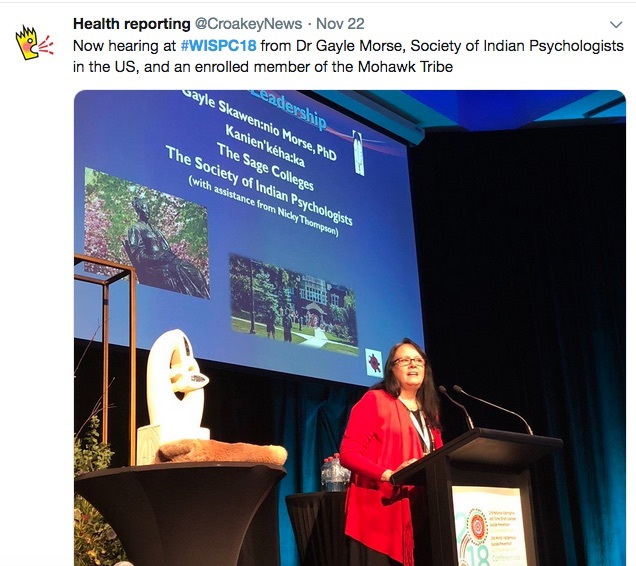 Dr Gayle Morse is an enrolled member of the Mohawk tribe, a psychologist and president of the Society of Indian Psychologists, which represents and works with Indigenous/First Nations psychologists in the United States and Canada. 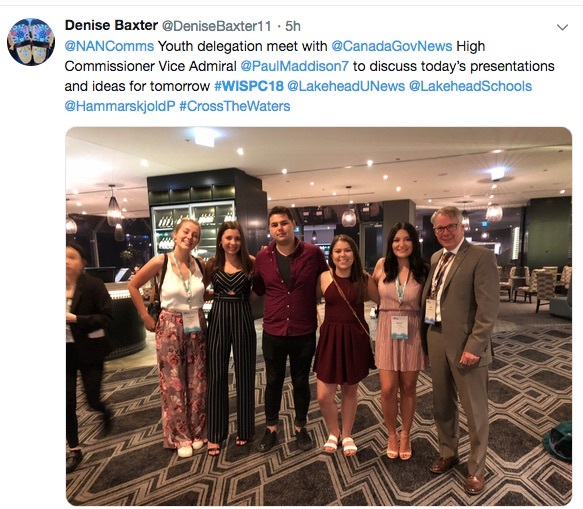 She spoke at the conference about the Akwesasne Freedom School, where her mother teaches, which provides “total immersion” in Mohawk culture, ceremony and language for students. 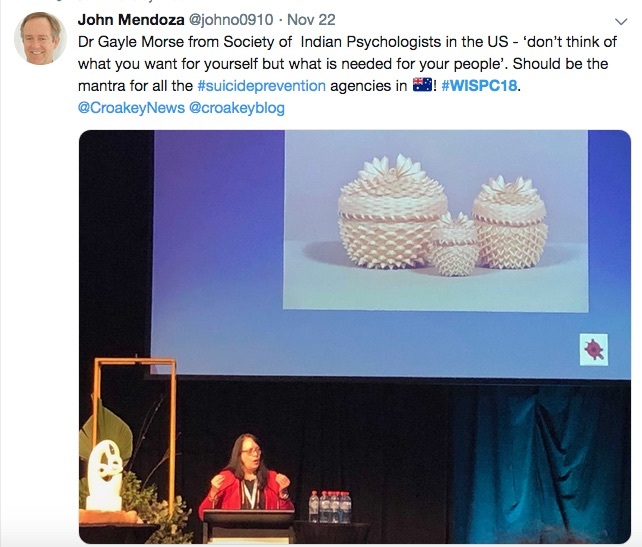 The community experiences comparatively low suicide rates, as do other similar initiatives in American Indian education, as this article discusses. 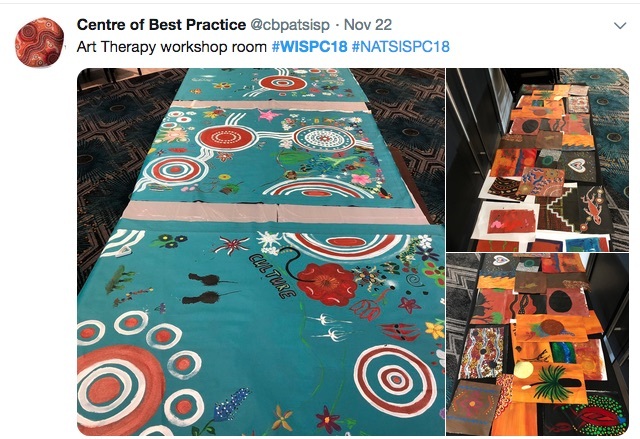 “They have the leaders, the chiefs go into the school to share traditional ways and we believe that helps the kids overcome any of the negative effects of colonisation,” she told Croakey. 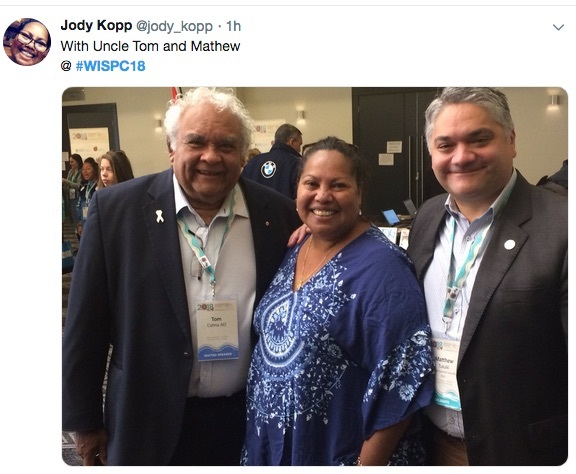 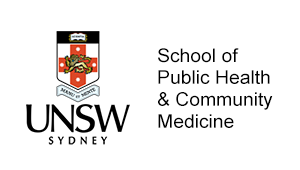 Morse also said how much she had got from attending the conference, and that the connections created among delegates had led to efforts to establish a First Peoples of the World Psychology Network. 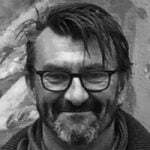 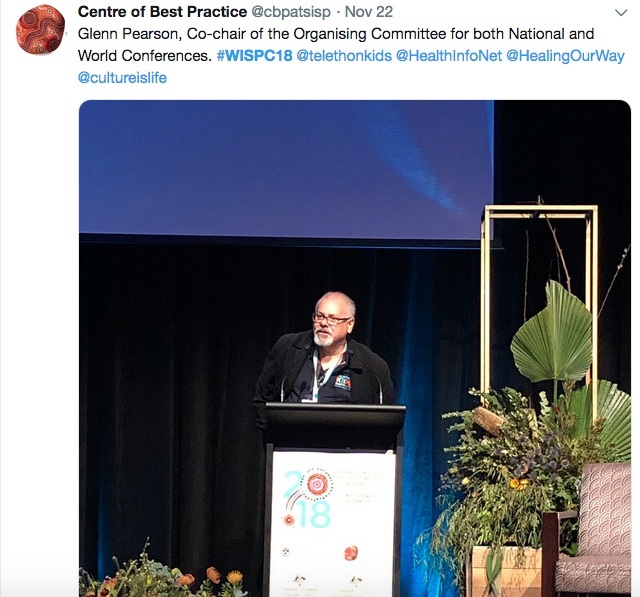 Dr Kahu McClintock is Research Manager of Te Kīwai Rangahau, the research and evaluation unit of Te Rau Matatini, the National Centre for Māori Health, Māori Workforce Development and Excellence. 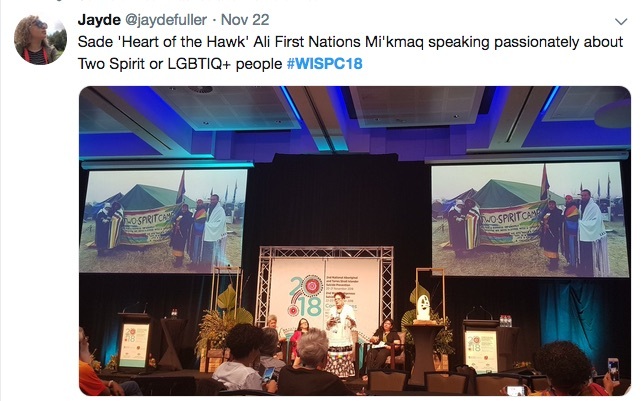 She spoke at the conference and in this interview about Indigenous data sovereignty. 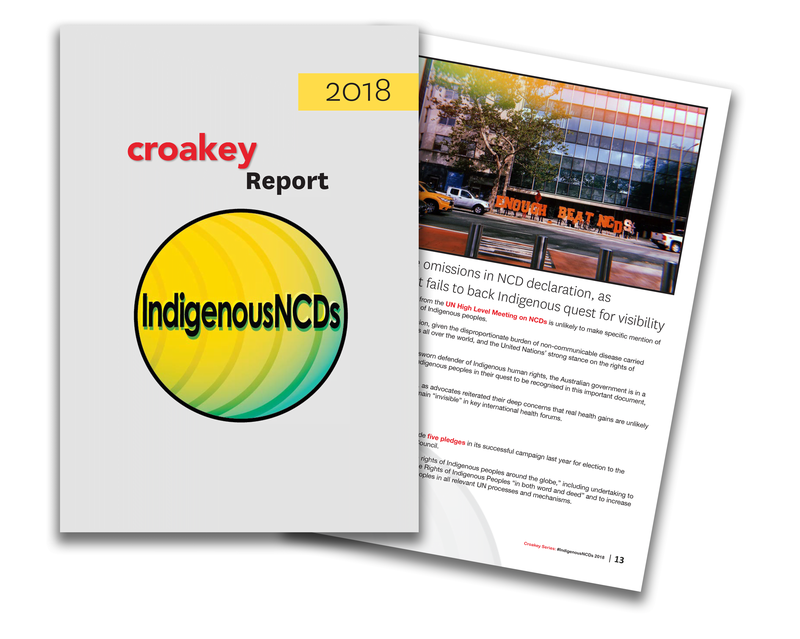 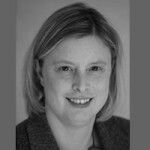 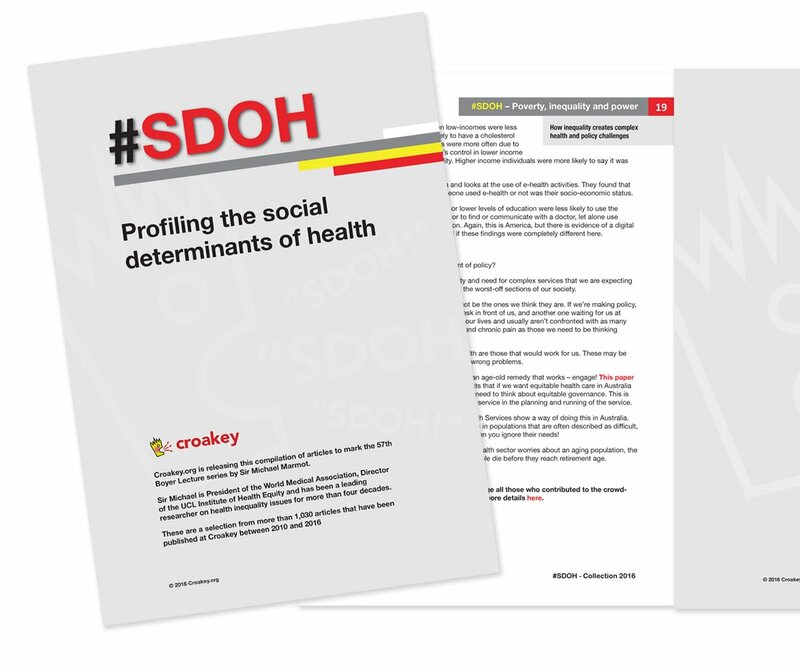 She told Croakey that the suicide data recording process in New Zealand raises concerns around how to keep families included in the process and confidentially collect data without compromising confidentiality or breaching their trust. 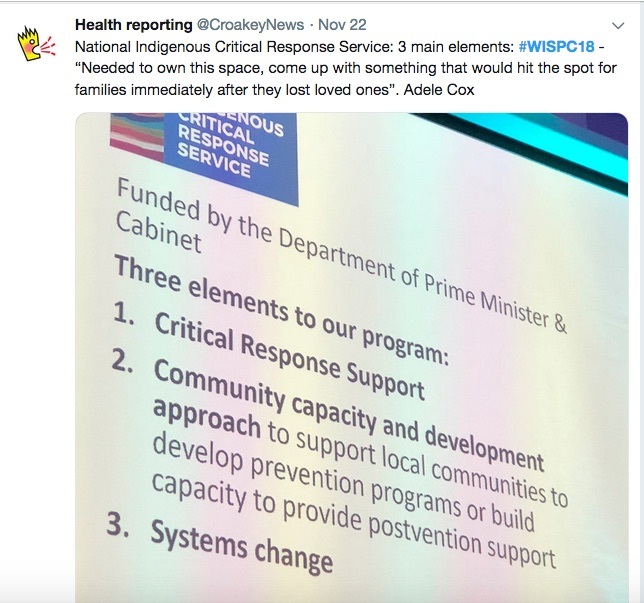 “These concerns were echoed by First Nations’ researchers from Canada, Australia, the United States and Pacific,” she said. 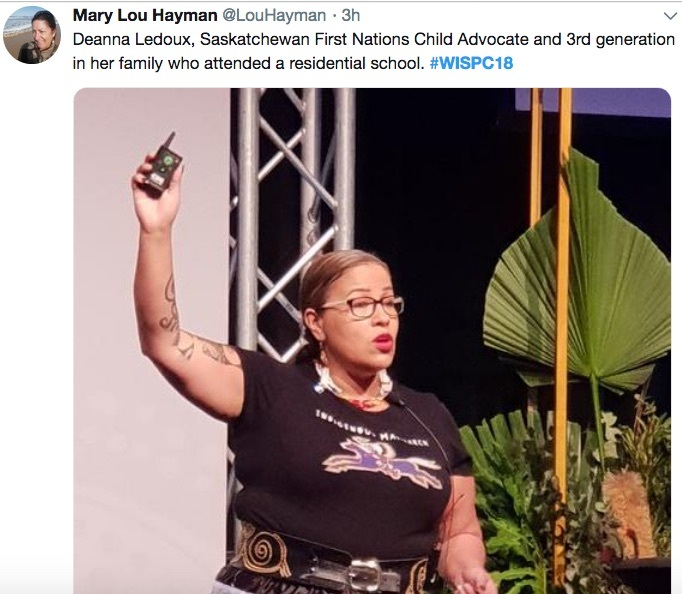 Maori funding was not in Maori hands and Maori health needs are being identified by non-Indigenous systems, and on non-indigenous terms, she said. 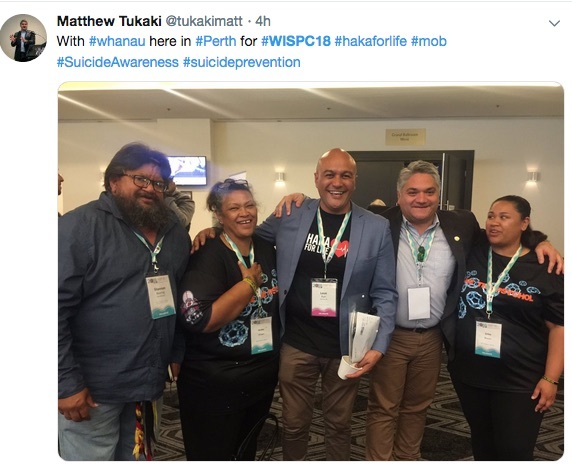 “Therefore, failure to ask Māori whānau (family) and those most impacted by suicide what their health needs are and to include them in decisions about the types of data that needs to be collected about them and why undermines their mana, authority and opportunities to protect the stories of their loved ones,” she said. 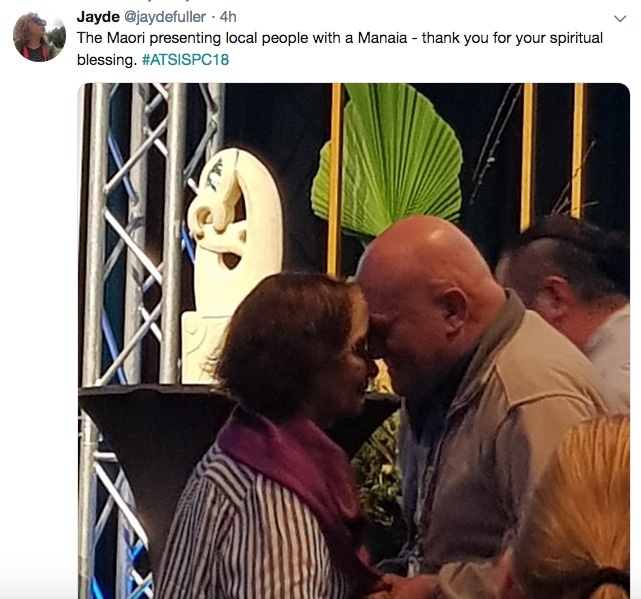 Shift the lens from deficit to strength based. 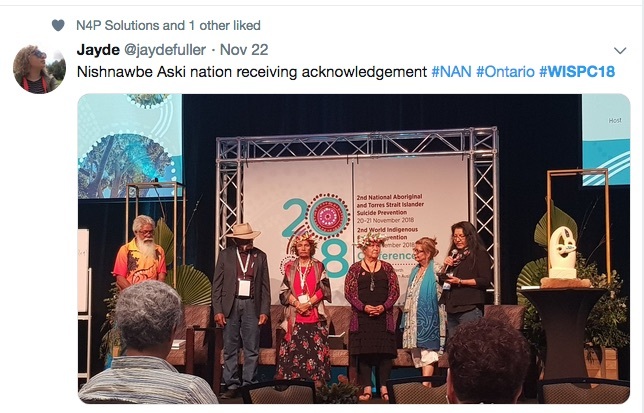 Re-telling the story creates fatigue: Indigenous peoples are tired of telling the same story with no action from Government. 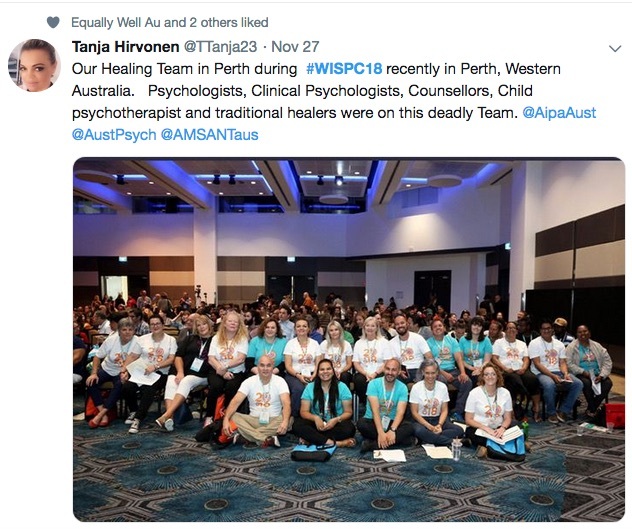 Psychological assessments need to begin and end with positive formulation to cause less distress. 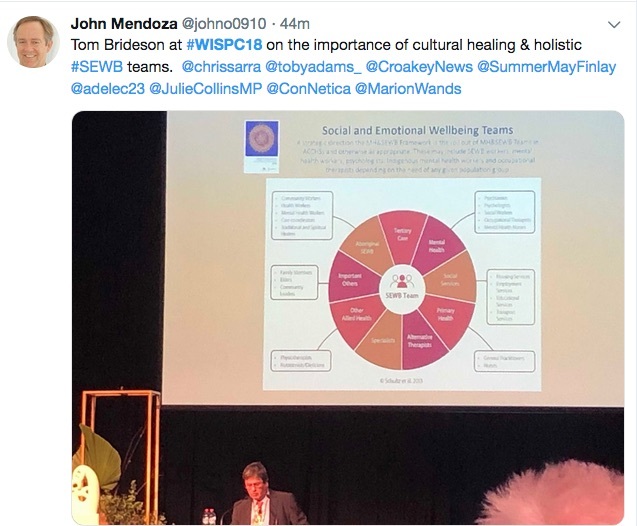 We need to start mapping seasons to suicides to determine what is giving people purpose to get families/ communities to change their focus. 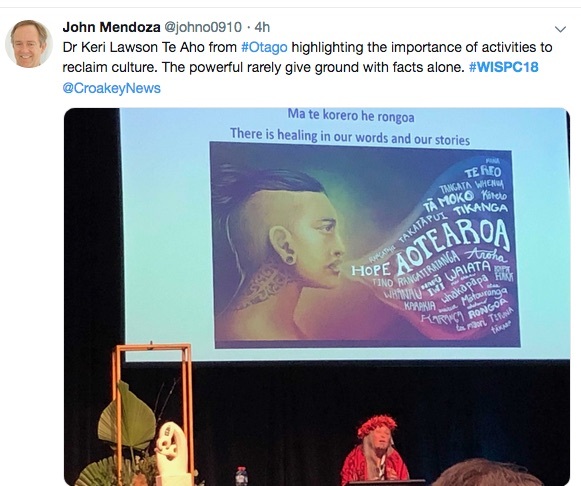 Use of the Matauranga Maori (Māori knowledge) and the Maramataka (Māori calendar) is old wisdom that is being reclaimed and applied in a modern context. 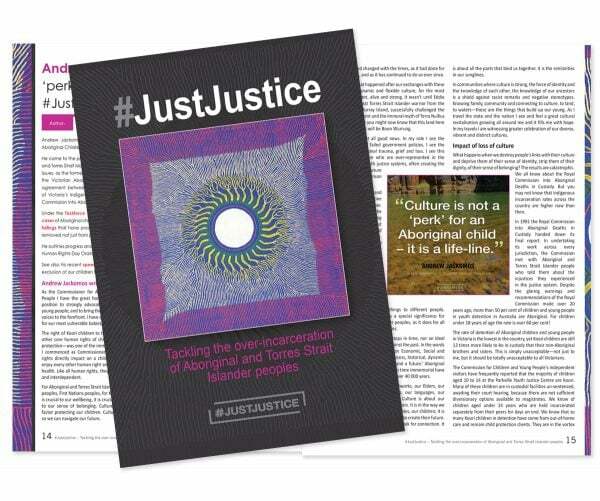 Community designed interventions need to enhance self-determination and autonomy. 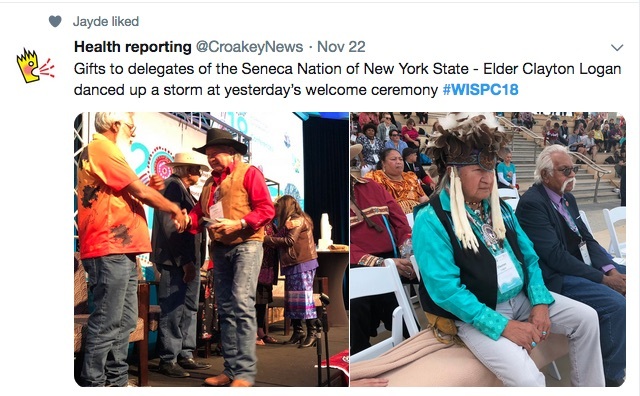 Dëgawënö’di:he’t (Jocelyn Jones) is a member of the Seneca Nation and founder of the grass roots organisation, Securing the Seventh Generation (S7G), which was founded in response to the need to address intergenerational trauma in Indigenous communities. 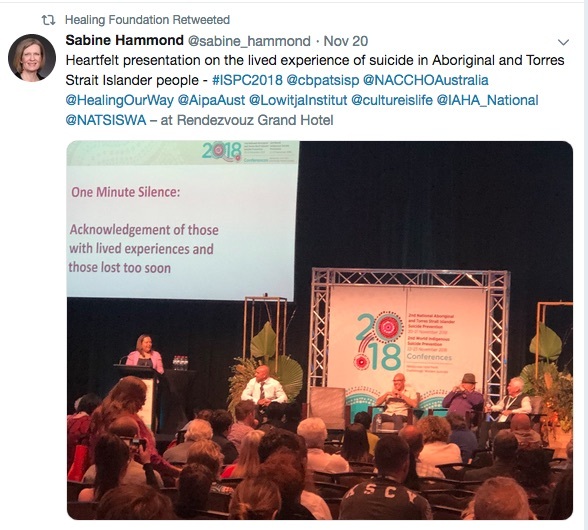 She urged delegates in her presentation to focus not just on intergenerational trauma but on the resilience handed down from Indigenous ancestors “who refused to quit”. 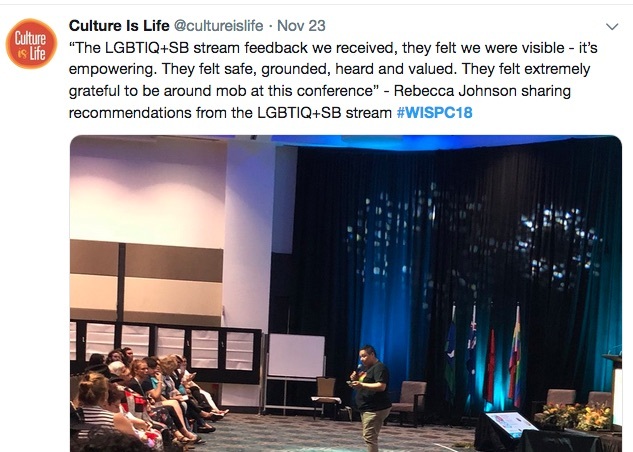 And she challenged people to look at how they were carrying trauma at a personal, family, and institutional level, warning against lateral oppression. 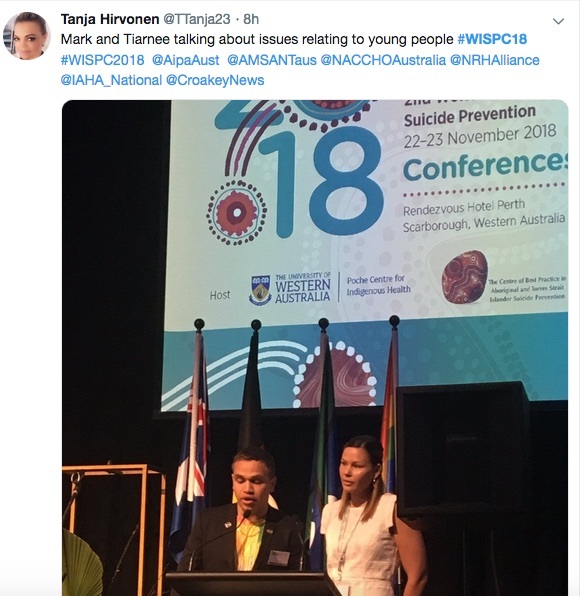 Jöndo:d (Clayton Logan) and Nicole Thompson, First Nations people from the Seneca Nation in the US, talk about their interest in suicide prevention and the work they do. 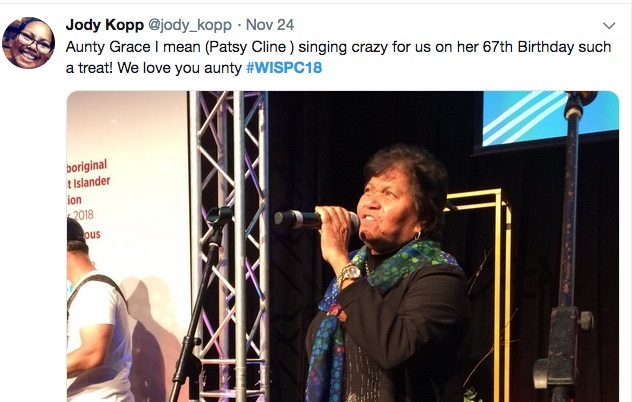 Watch the 22 videos from the conference at the #WISPC18 playlist. 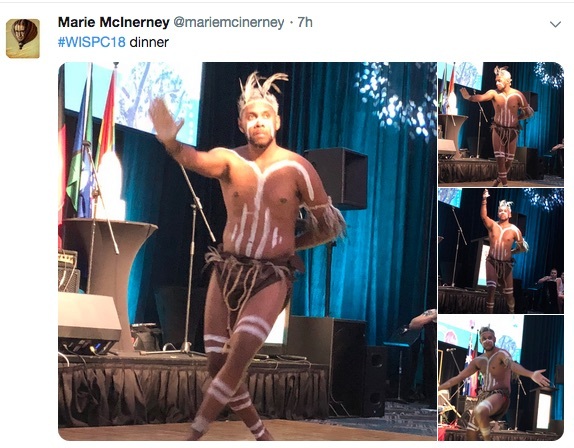 Not all of the videos were broadcast via Periscope. 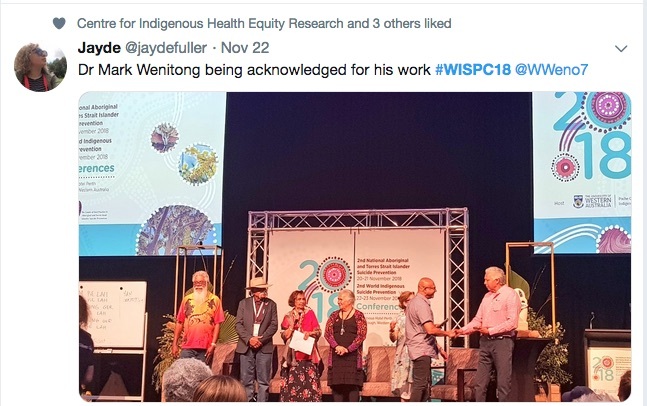 For those that were broadcast, by 4 December 2018, there had been 4,775 viewers (1,765 for interviews and 3,010 for ceremonies and presentations). 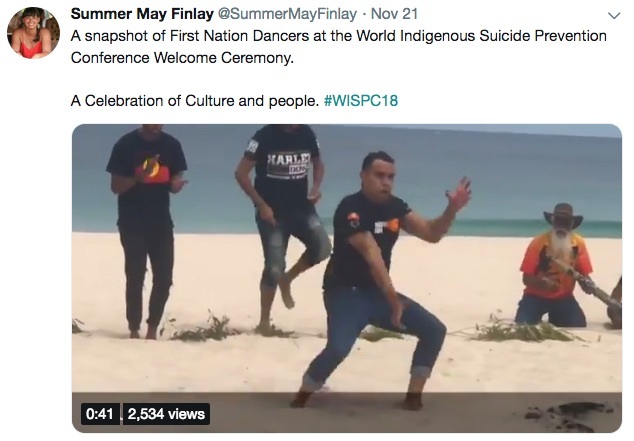 In addition, this video compilation of the opening ceremony, produced by Summer May Finlay, had been watched 2,534 times, as of 7 December 2018. 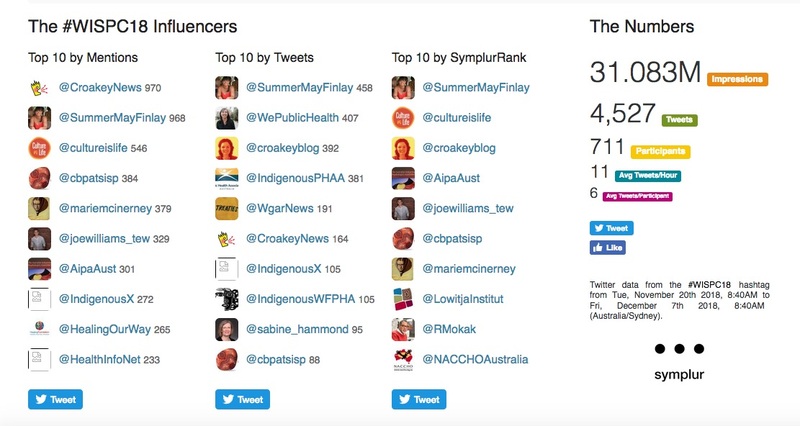 Symplur analytics for the period of Croakey’s coverage show there were 711 participants using the conference hashtag, sending 4,527 tweets, and more than 31 million Twitter impressions. 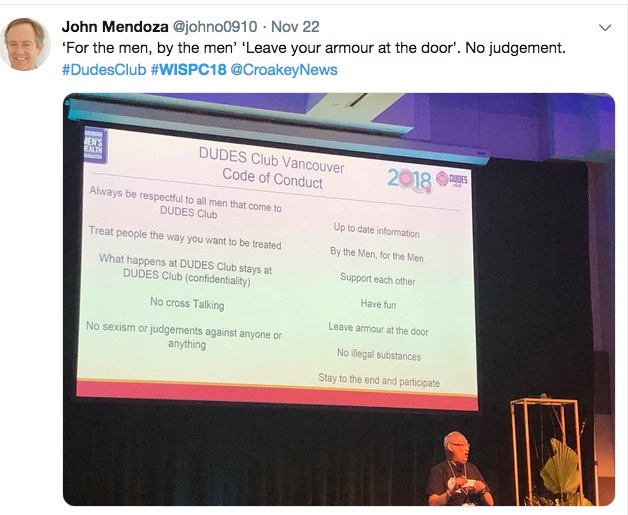 Check the analytics, and read the Twitter transcript. 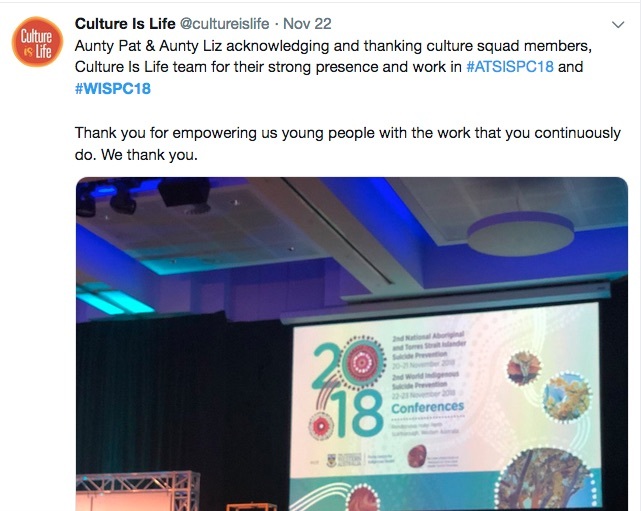 • If you or someone you know needs help or support, call Lifeline on 13 11 14 (24 hours-a-day), contact your local Aboriginal Community-Controlled Organisation, call Beyondblue on 1300 22 4636 or call Q Life: 1800 184 527. 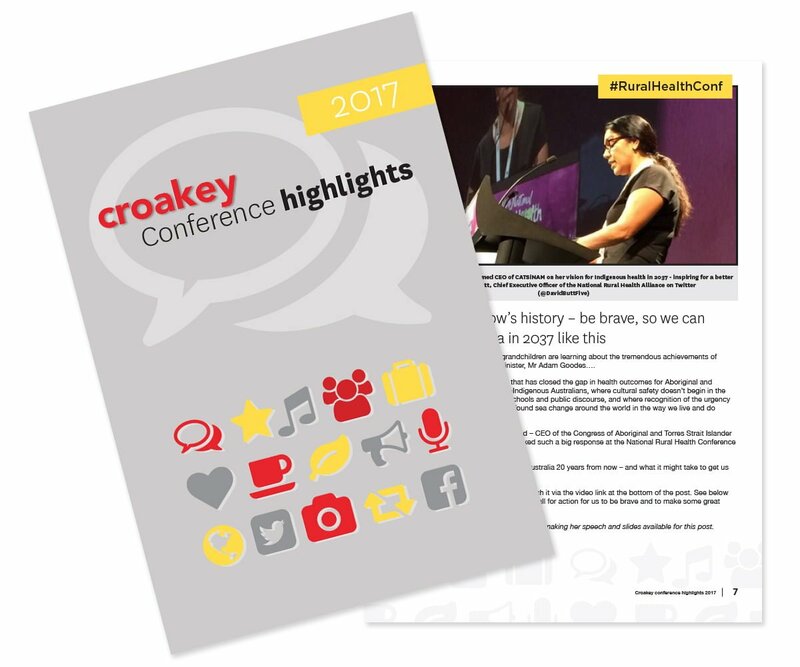 • Summer May Finlay and Marie McInerney reported from #WISPC18 for the Croakey Conference News Service.